Kindness is an act not everybody is capable of. It is said that the innate wisdom is achieved from the mere means of kindness. 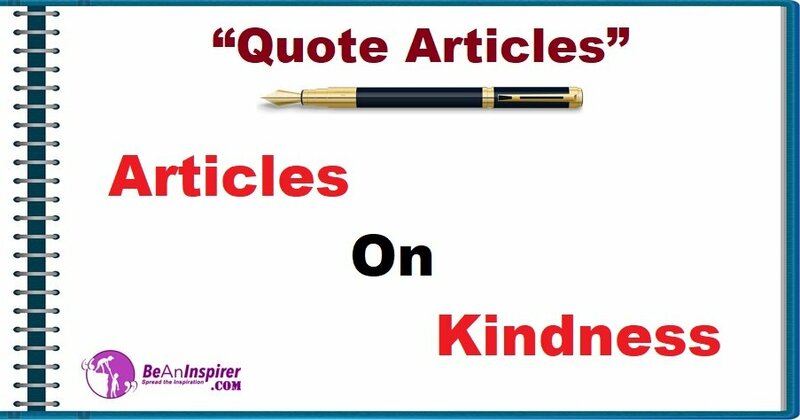 Check out Articles on Kindness to see how the famous personalities sought it in the Quote Articles section, combined with the wonderful and serene nature photographs.